The late Nobelist's masterpiece takes a candid look into the lives of Holocaust survivors during the late 40s. 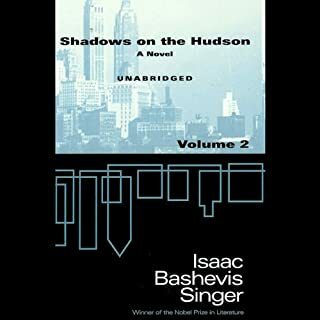 Set in New York City, Shadows on the Hudson, Volume 2, the second in a four volume audiobook series, draws us into the intertwined lives of a circle of prosperous Jewish refugees. 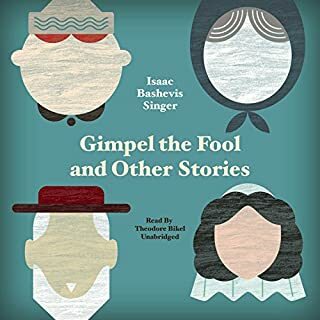 These 4 stories are infused with the wit and imagination, the humor and wisdom, that characterizes all of Isaac Bashevis Singer's work. Theodore Bikel reads these wise and funny tales in classic Yiddish storyteller cadence, injecting special warmth and resonance. The tales include "Gimpel the Fool," "Esther Kreindel the Second," "The Spinoza of Market Street," and "The Black Wedding." The internationally renowned star of Fiddler on the Roof brings the original stories of Tevye to life! Tevye personified the dreams not only of Russian Jews but of people everywhere when he sang "If I Were a Rich Man." Now hear the original stories of Tevye, as written by Sholem Aleichem (pen name of Sholem Rabinovich): "Today's Children," "Hodl," "Chava," and "Lekh-Lekho," the stories which were the basis for Fiddler, plus "Tevye Strikes It Rich" and "Tevye Blows a Small Fortune." I.L. Peretz, the acknowledged "Father of Yiddish Literature", captured the essence of Eastern European Jewish life. He wrote of the magical quality of kindness, and the bitter fruits of blind faith. The Magician can dazzle the crowds with his sleight of hand, climb to any height, open any lock. Fearlessly, he does death-defying tricks in theaters all over Poland. At home, his sweet Jewish wife waits for him to return from the city. In the city, his adoring mistresses wait for him to return from home. He holds the key to all hearts, but his own is beset with confusion. In the Polish city of Lodz, the Brothers Ashkenazi grew up very differently in talent and in temperament. Max, the firstborn, is fiercely intelligent and conniving, determined to succeed financially by any means necessary. Slower-witted Jacob is strong, handsome, and charming but without great purpose in life. While Max is driven by ambition and greed to be more successful than his brother, Jacob is drawn to easy living and decadence. As waves of industrialism and capitalism flood the city, the brothers and their families are torn apart by the clashing impulses of old piety and new skepticism, traditional ways and burgeoning appetites, and the hatred that grows between faiths, citizens, and classes. Despite all attempts to control their destinies, the brothers are caught up by forces of history, love, and fate, which shape and, ultimately, break them. 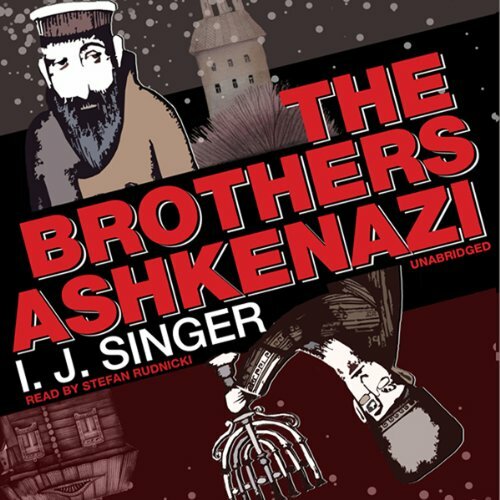 First published in 1936, The Brothers Ashkenazi quickly became a best-seller as a sprawling family saga. Breaking away from the introspective shtetl tales of classic 19th-century writers, I. J. Singer brought to Yiddish literature the multilayered plots, large casts of characters, and narrative sweep of the traditional European novel. Walking alongside such masters as Zola, Flaubert, and Tolstoy, I. J. Singer’s pre-modernist social novel stands as a masterpiece of storytelling. Israel Joshua Singer (1893–1944)was born in Bilgoraj, Poland, the son of a rabbi. He contributed to Yiddish newspapers in Warsaw and Kiev, where his short story, “Pearls,” was published, which brought him immediate recognition. He came to the United States in 1934, and within two years The Brothers Ashkenazi was published, a work that was not only an instant success but was also destined to become a classic in its time. ©1937 I. J. Singer. © renewed 1965 by Joseph Singer. English translation © 1980 by Joseph Singer. Foreword © 2010 by Rebecca Newberger Goldstein. (P)2010 Blackstone Audio, Inc. The story of three generations of the Ashkenazi family and set in 19th and 20th Eastern Europe, its themes are specific to that time and place, yet also universal. Illuminates the clash between traditional Judaism and the Jewish enlightenment, orthodoxy and progress, capitalism and workers rights, accepting the world as it is and risking your life to change it. 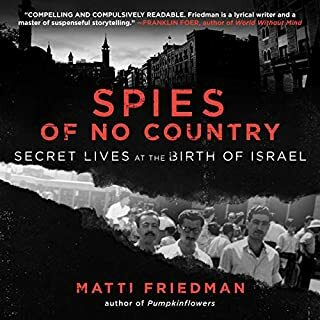 Good narration, with the exception of mangling some of the Yiddish. What a great book! Looking at reviews this book seems often to be pigeonholed as a book by a Jew and about Jews almost implying that it is for Jews. This is a great travesty. That’s like saying Crime and Punishment is by a Russian and for Russians, or Ulysses is by the Irish and for the Irish. This is a wonderful book about greed, oppression, and men pushed to the limits of life. Some parts are heavy and dark, some tender and loving, and often laced with bits of humor. I don’t think anyone will truly like the Ashkenazi’s, but I for one respect them in the same way as the protagonist of other great works. It will forever be in my group of favorite books. What an excellent book. Well written. It reminds me of one of the classic Russian novels in scope and character development but with a Jewish focus. Highly recommended! Written during the 1930s, this book by I.J. Singer, older brother of Nobel Prize winner Isaac Bashevis Singer, proves to be a remarkable look back at Jewish life in Poland during the late 19th and early 20th centuries. What makes it so remarkable is that it was written before the Holocaust and is therefore not seen through the prism of that horrific event. The Brothers Ashkenazi presages the Holocaust without knowing that it was about to happen. But more importantly, it is a complete examination of what life was like for Jews in Lodz without being tempered in its honesty by the subsequent advent of the Lodz Ghetto and its brutal dissolution by the Nazis (my father was forced into the Lodz Ghetto as a teenager, then deported to Auschwitz). The breadth and depth of Singer's book is epic. Orthodoxy goes up against assimilation, capitalism has its inevitable collision with communism, Jews clash with Poles who clash with Germans who clash with Russians, and everyone seems to hate the Latvians and Lithuanians. There is also an unexpected look at feminist issues via the practice of arranged (read: forced) marriages. The Brothers Ashkenazi is breathtaking -- in scope, pace, and characterization -- from the start when German refugees of the Napoleonic wars (not Jews, Germans) settled in Lodz, through the Industrial Revolution, the rise of unionism and socialism, economic ups and downs, the German occupation during the first World War, the Russian Revolution, and the outburst of extremely virulent and violent anti-Semitism after the war that had rarely occurred prior to then. Despite its title, this book is really about one of the two brothers, Max. As fascinating as his experiences are, he is such a despicable character that you want to forget him as quickly as possible. There are myriad other characters that compare and contrast to Max in deed and temperament, starting with his much more likable twin brother and including his maligned first wife, not to mention his father and his business partners and his competitors and his workers, etc. etc. Most memorable of all is Nissan. He is a relatively minor figure compared to Max, but he is the true counterpoint. Both start out as rabbinical students, both turn against their fathers, but that is where the similarities end. Where Max is the ultimate exploiter of people, both as an industrialist and in his personal life, Nissan is the idealist. Where Max is the capitalist who embraces apostasy as a negotiating ploy, Nissan is an apostate who embraces socialism and communism for their humanistic ideals. The scenes where Nissan and Max collide are among the best in the book. Nissan is the only person who can honestly tell Max where to get off. Even when Max talks sense about the economic realities of capitalism (e.g. the profit motive as a driver of innovation and investment), Nissan knows just how to reject him. When Max tries to make nice to Nissan (in his own self-interest, of course), Nissan's rejoinder is devastating in its directness and simplicity. Unlike Max, Nissan devotes himself selflessly to the cause of the working class, enduring beatings and prison sentences and humiliation in pursuit of that cause. How these contrasting characters fare in the aftermath of the Russian Revolution is (trying to avoid spoilers) yet another contrast in just desserts (or not). Based on the afterword, Nissan's experience in rejecting his rabbinical father's Orthodox Judaism early in life and communism in the immediate aftermath of the Revolution mirrors that of the author. This book has been called the best Russian novel ever written in Yiddish. 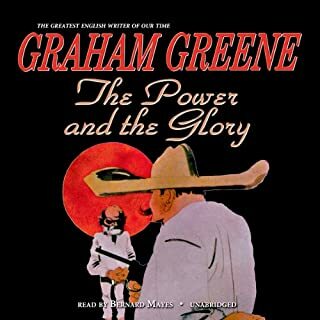 It was popular enough in its day to battle it out with Gone With the Wind for the top spot on the NY Times best seller list. It's like the Downton Abbey of Polish Jews, but with even more heartache and violence because of the anti-Semitic pogroms that are so vividly depicted. Written in Yiddish, narrator Stefan Rudnicki, even in translation, expertly captures the rhythm of the Yiddish voice. Not to take anything away from Isaac Bashevis Singer, but it's a shame that his older brother has been overlooked. He died prematurely of a heart attack in 1944, having published only a handful of works. His now more famous brother started writing in earnest after his death. I.B Singer's own epic, The Family Moskat, examines the same era in Jewish history, but was written after the Holocaust and is therefore viewed through that lens. If you could sum up The Brothers Ashkenazi in three words, what would they be? What was one of the most memorable moments of The Brothers Ashkenazi? Nissam the Depraved's moment of understanding that the values he worked so hard for were undermined by the various tendancies of man. Great knack for capturing the feel of his characters. Who was the most memorable character of The Brothers Ashkenazi and why? Great book from a great author! The book describes a lost world. It is a tribute to the jewish life in Eastern Europe, that was destroyed by the evil. Written by the older brother of the famed Nobel Prize winner Isaac Bashevis Singer. There is an interesting epilog about the two brothers – how the elder helped the younger, lending him a guiding hand into the writing career. The older being more politically oriented the youger more religious. For me this book was OK. It provides a detailed description of Jewish life in today the third largest city of Poland, Łódź. The story begins with the birth of the town and then the birth of twins. The life of the town and the life of twins through to their death. It is about life of “a Jewish family” in Poland. It is equally much about the life of the city itself rising from German immigrants who brought knowledge of textile production. Weaving and looms and soon steam factories. The time frame is the 1800s through to the end of the First World War and the Russian Revolution. It is the story of Jewish life in Poland and Russia. Rife antisemitism. The growth of unions and changes in the textile industry. One family, two brothers and a large number of supporting characters. 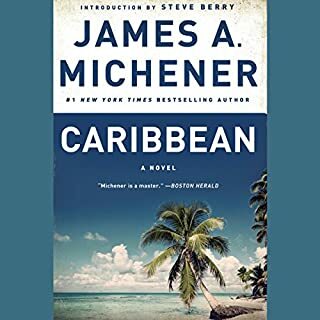 I cannot give it more than two stars because I never felt for the characters. Their lives seem to be drawn to teach history. Their life stories are told rather than experienced. There is a large cast of characters; you have to take notes to keep track of who is who. I felt each character was too much a "type of person" more than an interesting person - the go-getter, the friendly guy, the union activist. History has to be told so a person is thrown in to do just that. Two-dimensional characters. The ending? Too moralistic and quite predictable. The narration by Stefan Rudnicki was fine, but certainly nothing special. Do I sound bored? Yeah, well I was at the book's end. The early history relating the birth of the textile town was more interesting than the story of the Russian Revolution I’ve read so many times before. How is it that I.J. Singer is not read widely? His story-telling skills are on a par with Tolstoy. His characters are rich and varied just as in War and Peace and cover as much war, geography (Poland and Russia), labor relations, class struggle, and individual turmoil. Reading how traditional societies morph into secular culture and revolutionary movements. If you could take any character from The Brothers Ashkenazi out to dinner, who would it be and why? Nissan. He's the son of an ultra-orthodox Jewish rabbi, but he is not religious. Instead, his creed is Marxism. He's so pure in his beliefs and clearly the hero of this multi-layered novel. 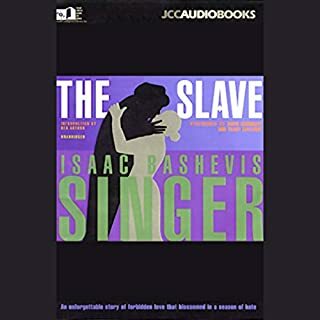 I wish more of Singer's books were available on audio. it was an interesting view on the times and culture. The reader's mispronouncing Jewish holidays & some Yiddish words bothered me, though. What made the experience of listening to The Brothers Ashkenazi the most enjoyable? The book brings to life the Jewish life in Poland more than a century ago. But beyond this, it is also a cautionary tale about greed and ambition and their consequences. It's a book I can listen to time and again. Both story and performance are top notch.